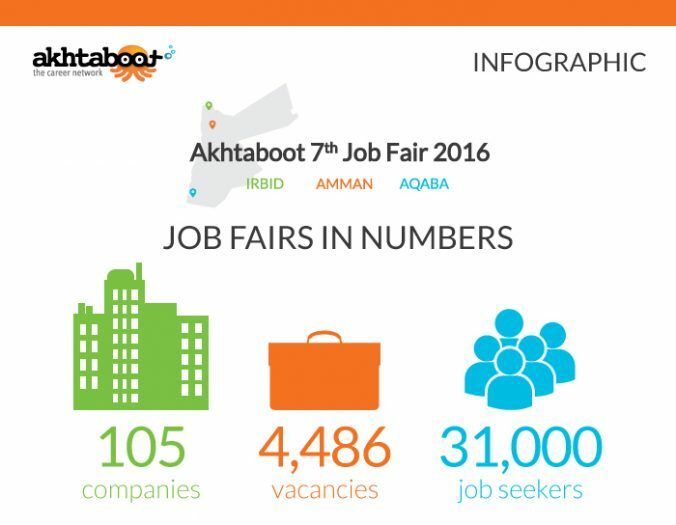 Under the Patronage of His Royal Highness Crown Prince Al Hussein bin Abdullah II, Akhtaboot 7th Job Fair 2016 has successfully concluded in three governorates strategically chosen across the Kingdom; Amman, Irbid, and Aqaba. 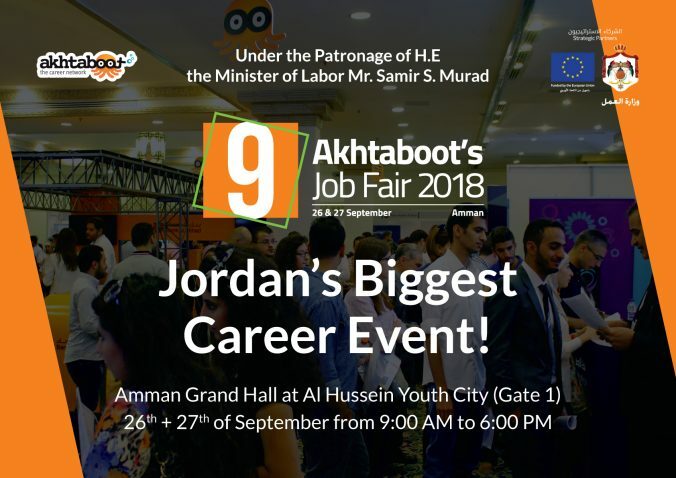 Recognizing a need to bridge the unemployment gap all over the Middle East job market, the job fairs were held with the participation of a number of leading Jordanian companies and educational institutions covering different industries. The job fairs featured a two day exhibition style job fair including career-related courses covering different career advancement topics.